This Property is 100 Pct. Non-Smoking. 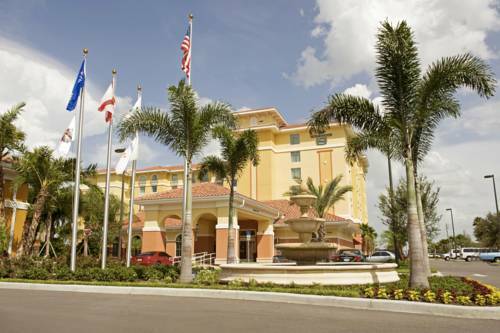 The Homewood Suites by Hilton Lake Buena Vista - Orlando hotel in Florida is a state-of-the-art green lodging hotel located off Florida I-4 and CR 535 and directly across the highway from Orlando*s Prime Outlets Mall. Strategically situated just 1 mile from the entrance to Walt Disney World Resort and the entrance to SeaWorld the Homewood Suites by Hilton Lake Buena Vista - Orlando hotel offers easy access to the spectacular theme parks unique restaurants abundant shops and exciting entertainment that have made this region one of the worlds most popular destinations. This Homewood Suites by Hilton Lake Buena Vista - Orlando hotel is just minutes from the Downtown Orlando business center and fantastic city night life. The Homewood Suites by Hilton Lake Buena Vista - Orlando hotel in Florida features 102 two-room suites separate living and sleeping areas and 7 two-bedroom suites two separate bedrooms and separate living area and 21 studio suites. All hotel suites have a fully-equipped kitchen full-sized refrigerator microwave oven coffee maker two phones with data ports and complimentary high-speed internet access. DVD players are available at the front desk upon request. Iron and ironing board and hair dryer are standard in all rooms. Make yourself at home. - Harcourt Brace Business Hqtrs.